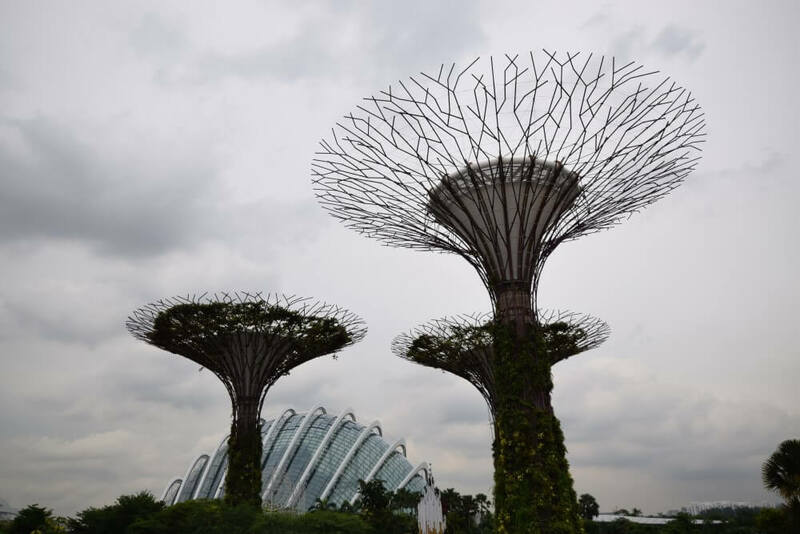 Often called as Singapore Best Garden to visit, Gardens by the bay is one of the most spectacular garden we have seen. We always love to be in nature, surrounded with gardens and mountains. 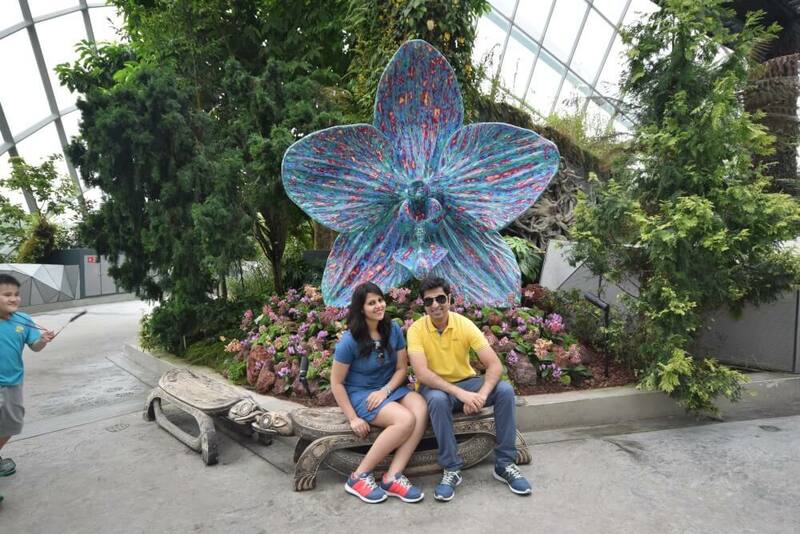 So here we are in this stunning techno garden theme park worth million dollars “Gardens by the Bay”. 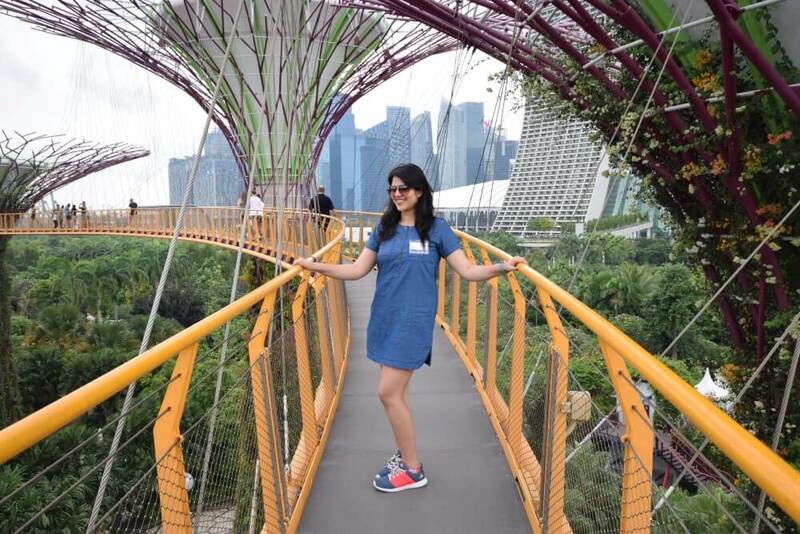 It one of the most famous attraction of Singapore. 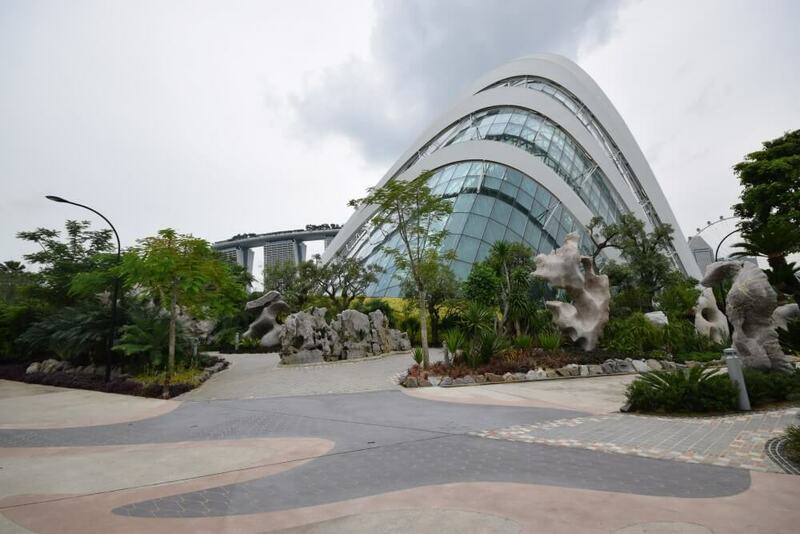 The gardens by the bay is located just next to the Marina bay sands which is the heartbeat of country. The garden opens from 5.00 am till 2.00 am and at each time of day the garden has something best to offer. Getting there is very comfortable due to its perfect location, we went there through taxi. 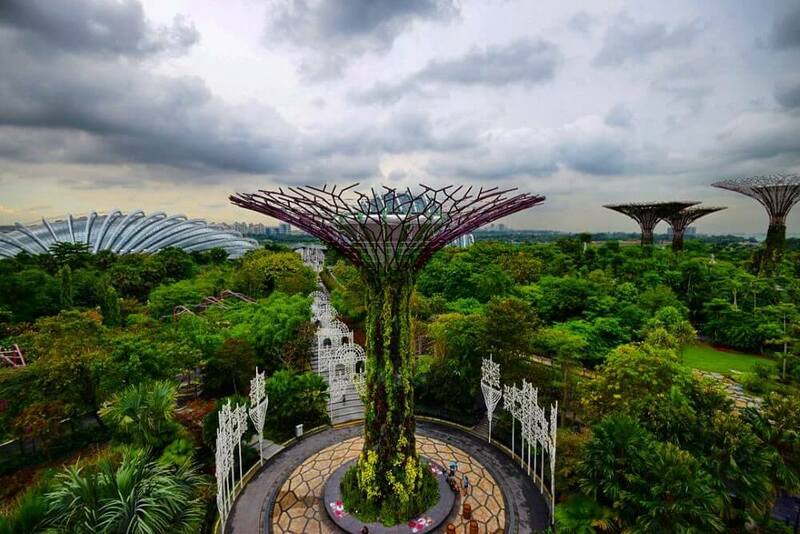 Gardens by the bay is a huge park spread over 101 hectares in central Singapore. This theme park is divided into different sections according to the different themes. 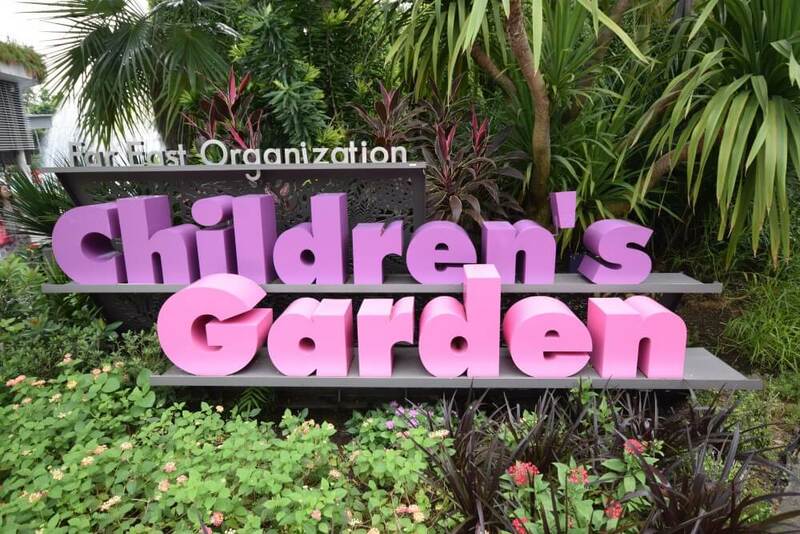 Most of the garden is free to enjoy except the Flower dome, Cloud forest and OOBC desk of Supertree Groves which requires entry fees. 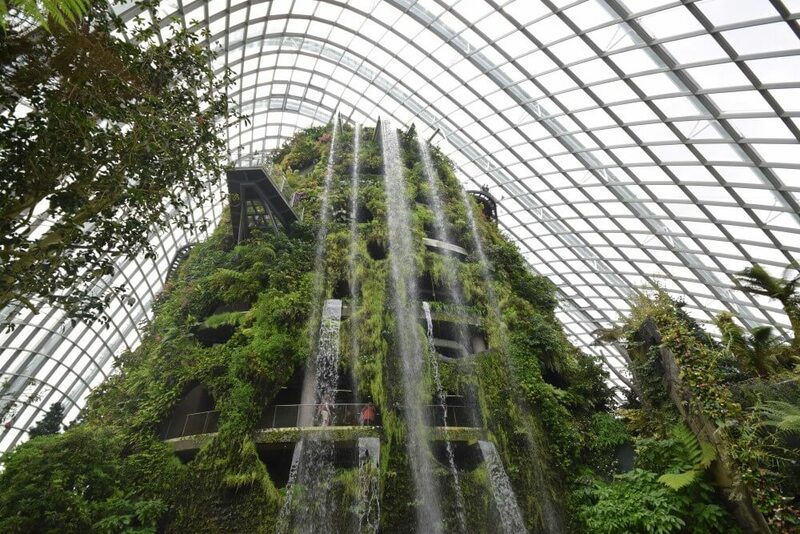 It is the world’s largest glass greenhouse. The concept is so unique and outstanding. 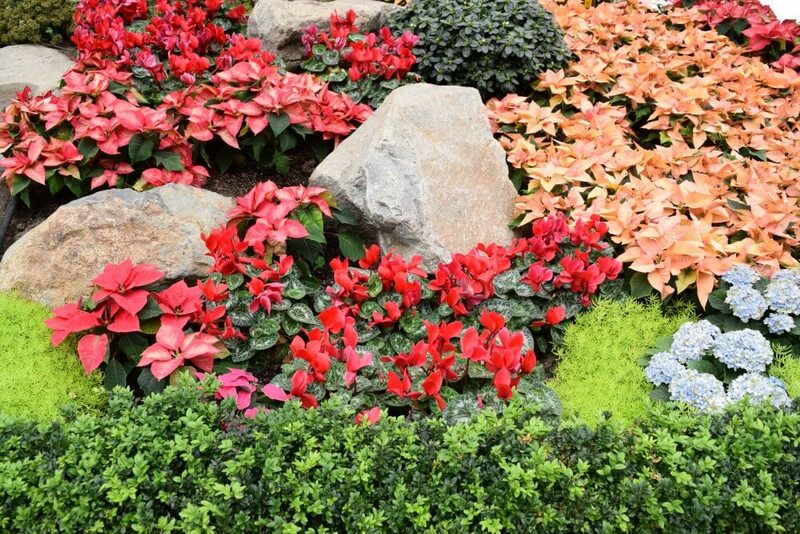 The huge dome is filled with beautiful flowers and plants of Mediterranean and semi-arid regions. Cool and dry temperature is maintained inside the dome. 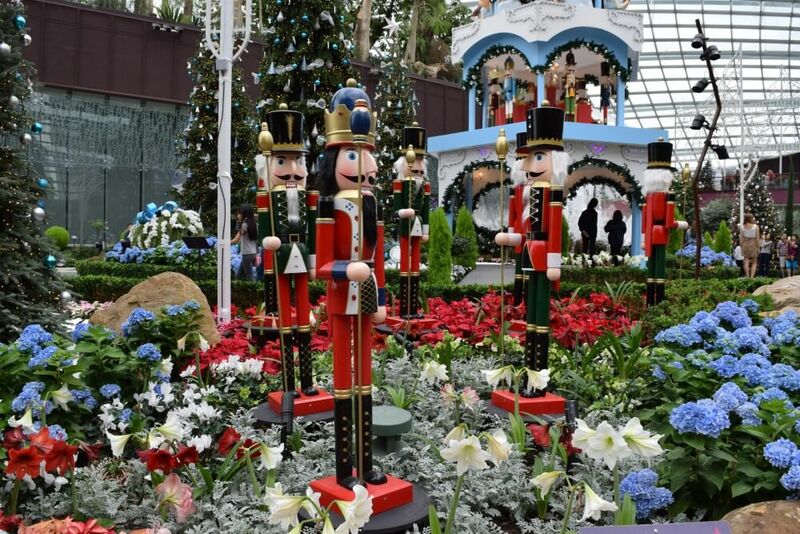 When we visited the “flower dome” in December, at that time Christmas theme was arranged inside the dome. 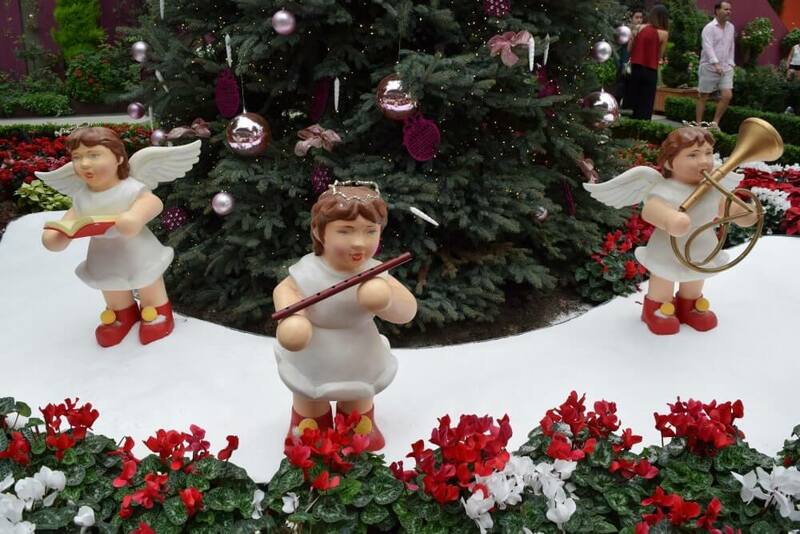 We were amazed to see artificial snow, Christmas trees, Nutcracker dancing models and ballerinas. It is jaw dropping attraction featuring the plantation on mountain in a climate controlled dome. At the entry of cloud forest garden there is a waterfall coming out from a mountain. 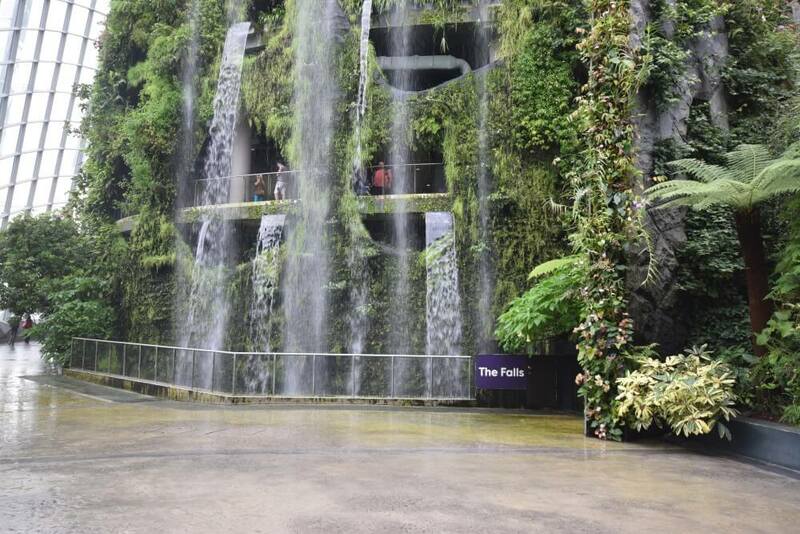 You will freshen up with the cool breeze and mist around the waterfall. The cloud forest showcase the green vegetation on mountain with rare plants and flowers of tropical region. 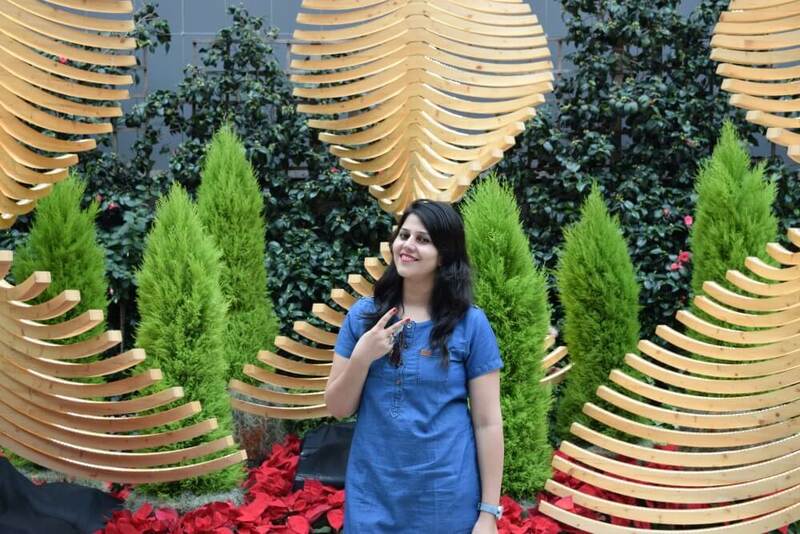 The structure has a spiral walkway which starts from the top of the mountain from where you can have a complete view of the amazing combination of nature and technology. 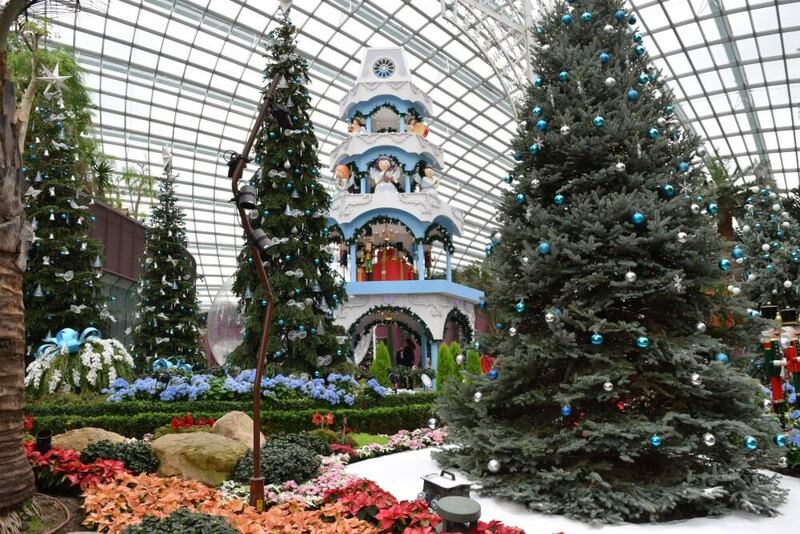 One of the most impressive attraction of Gardens by the bay. This is an amazing vertical garden with tree like structures. These are free to visit but if you want a view from OCBC skyway you need to buy a ticket. 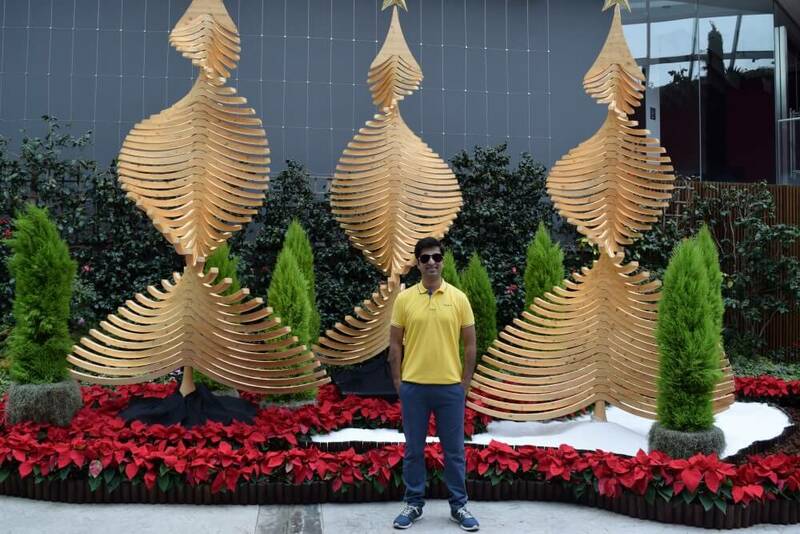 These supertrees are 25-50 meters tall. 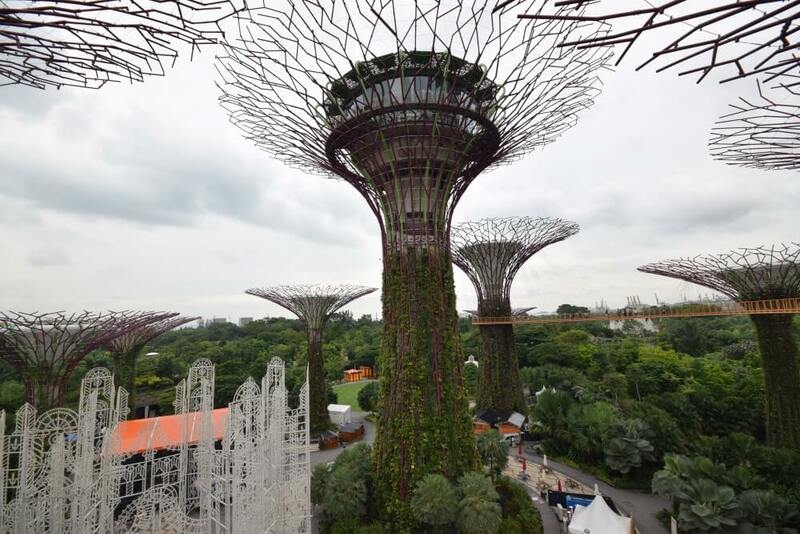 At supertree groves you can have a panorama view of whole garden from OCBC skyway connected with two supertrees. 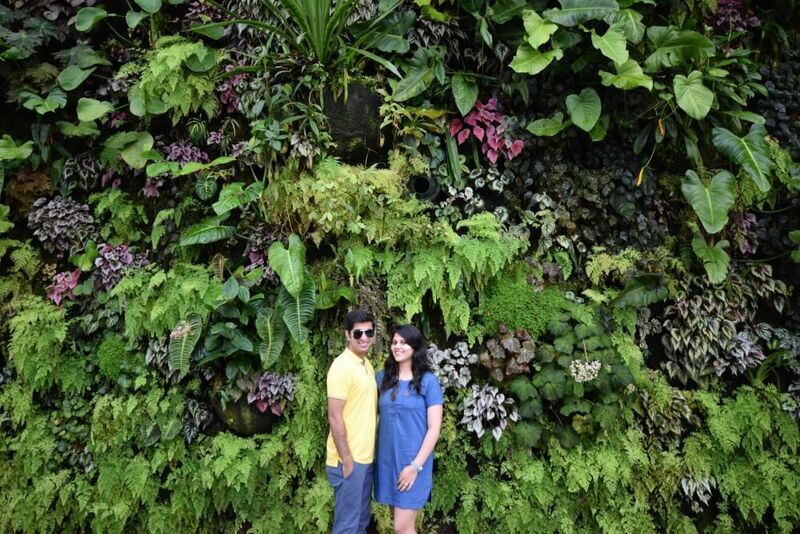 The best part is that this is one of the best place to take a breathtaking and picture perfect view of garden. 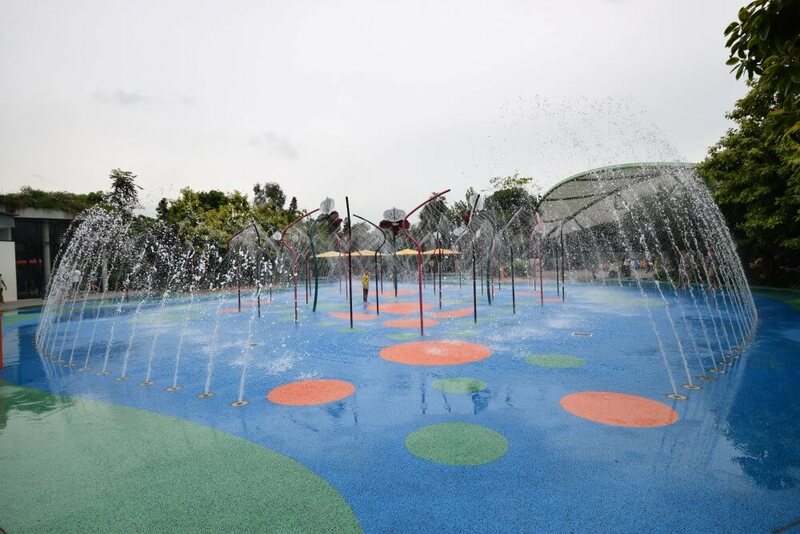 This has water play feature and also has educational programs for children. Best zone for families and children to play together and have fun. 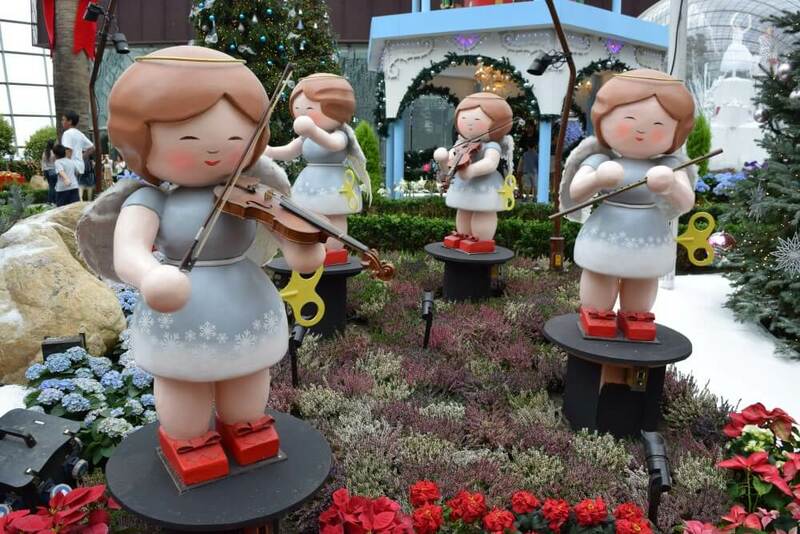 It has 4 different themed garden dedicated to the mixture of Singapore’s diverse culture. 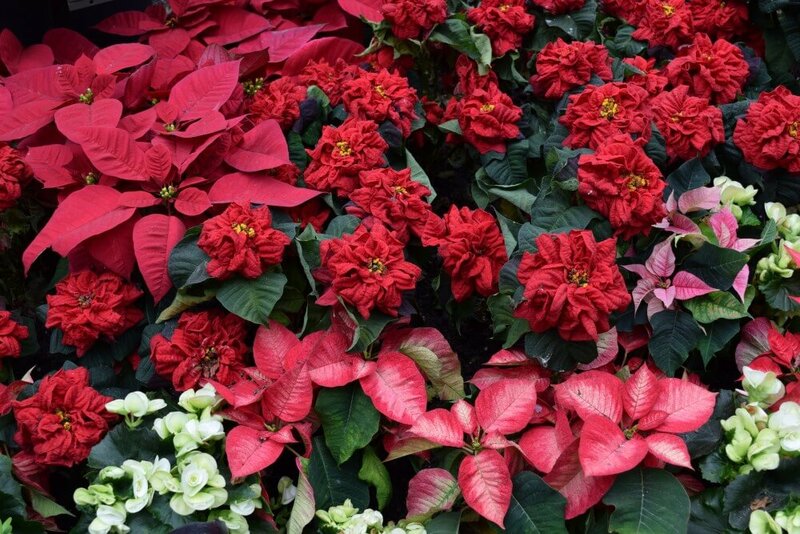 Explore the Indian, Chinese, Malay and Colonial Gardens here in Heritage Garden. 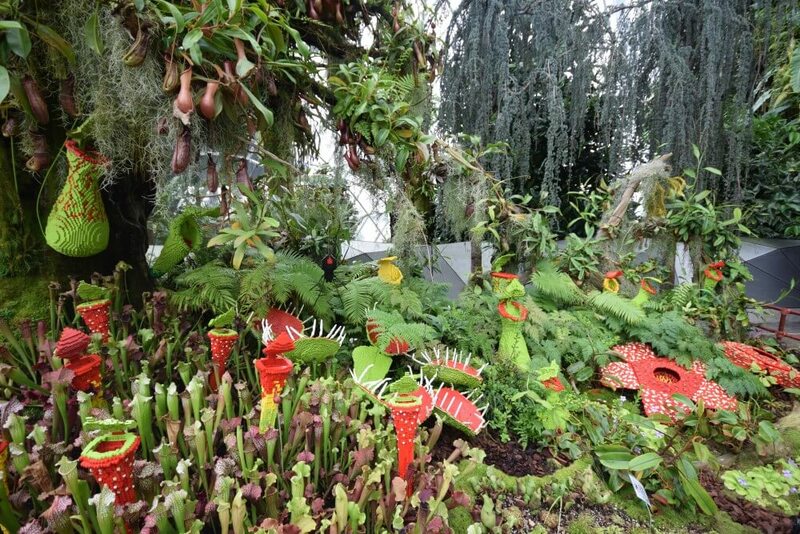 You will learn how plants are related to culture and also know the fascinating stories behind them. This is a perfect combination of knowledge and nature. In world of plants, kids will learn the process of formation of plant from a seed, and how fruits & flowers are grown and cultivated. This will also be a new adventure to the different species of trees. 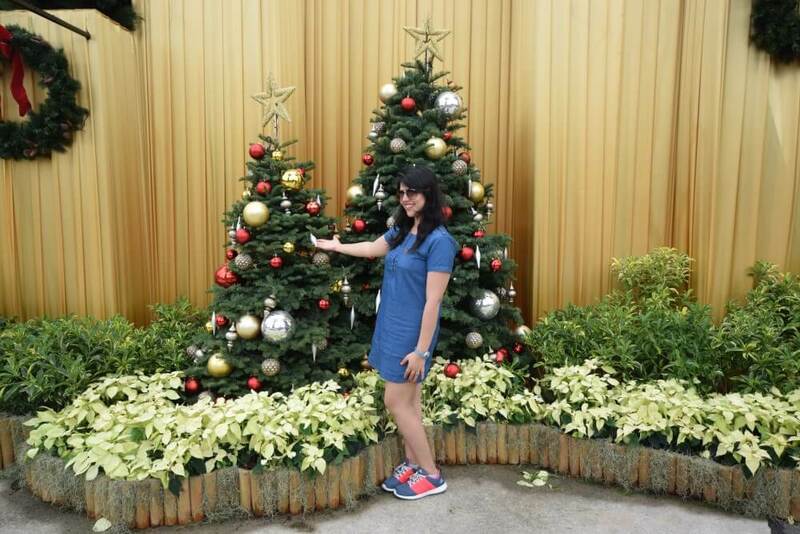 If you want to see more fun from our Singapore trip then do not forget to follow us on Instagram. You have captured the place wonderfully. 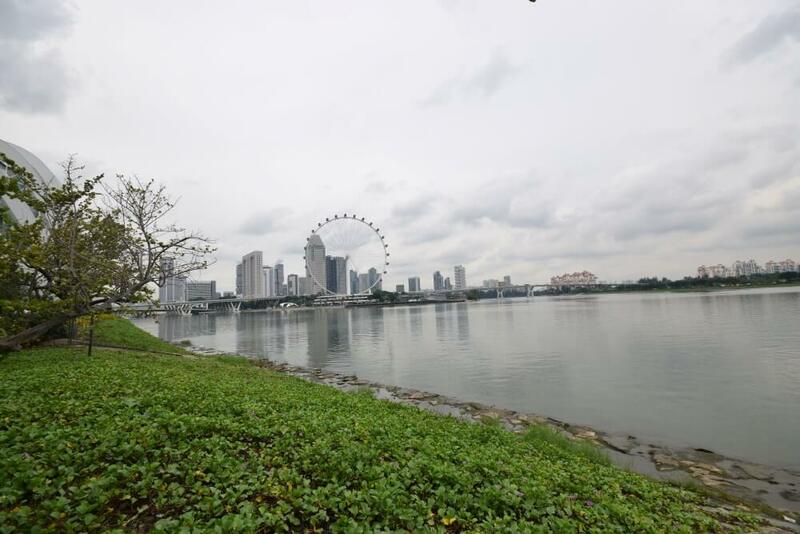 And can’t agree more for it being a recommended place to visit in Singapore for tourists. 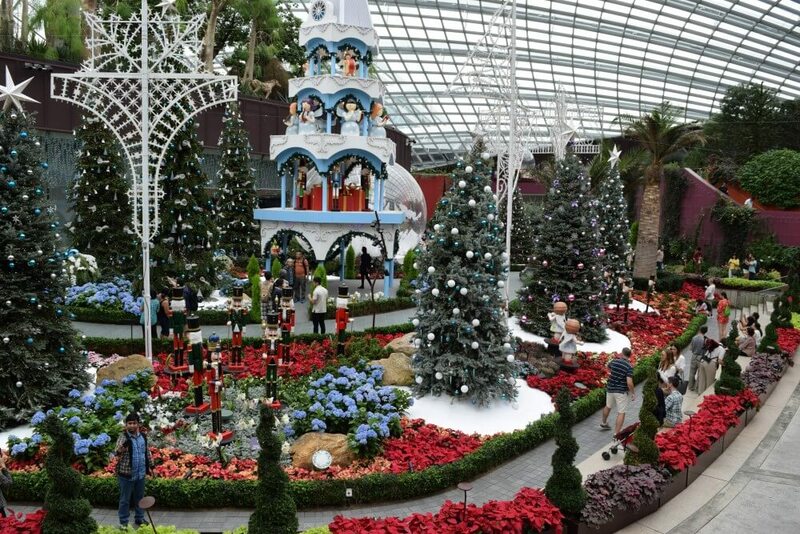 When I think of Singapore, I don’t think of gardens. I tend to think of the Pearl Jam song “Garden.” Your post does an excellent job of highlighting greenspace in a concrete jungle. “Green” is an REM cd! Wonderful place. It is amazing to see uch a small country maintaining so many spacious attractions. 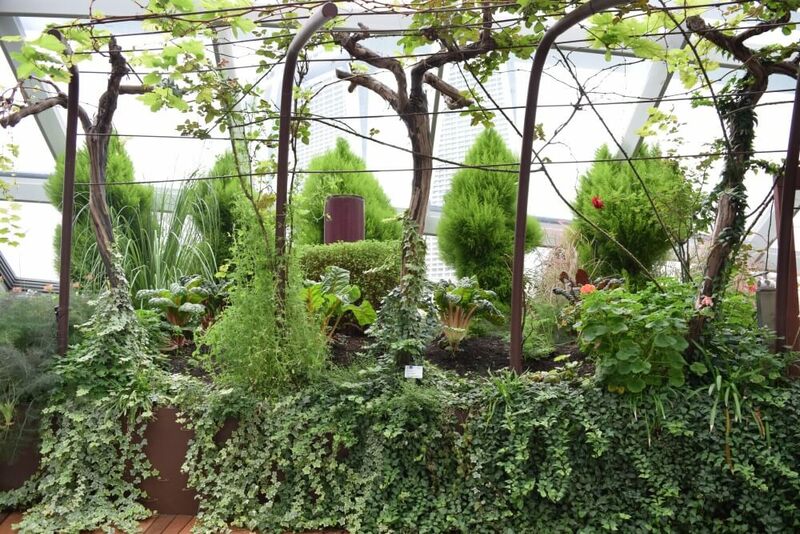 Especially like the idea of cloud forestgarden. 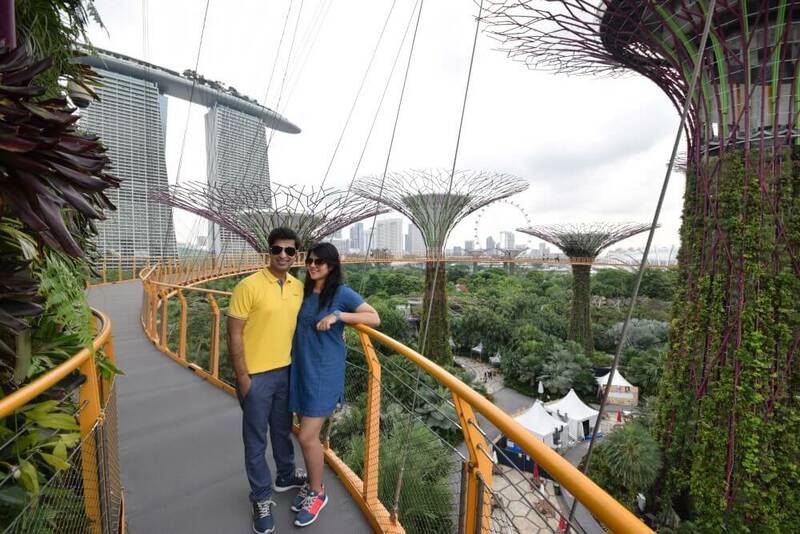 Those super trees are a beautiful idea, they sure have boosted Singapore’s image in map of tourism. Think of Singapre and these structures come to mind, earlier it was merlion! Just today I was talking to a friend who told me that flights to Singapore are cheap from India. That had me searching for blogs on Singapore and I stumbled upon this blog. 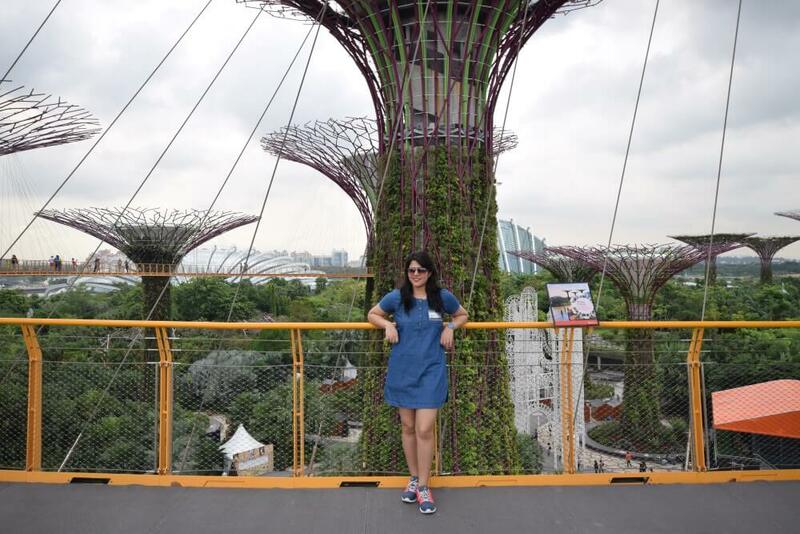 Your blog sure makes Singapore look like even more appealing. I hope to make it here soon. Always good to know an Indian perspective. Omg I’ve heard so much about this place! Reminds me of the Joshua Tree’s! My friend and I plan on visiting Singapore this year so we will definitely be making a stop! 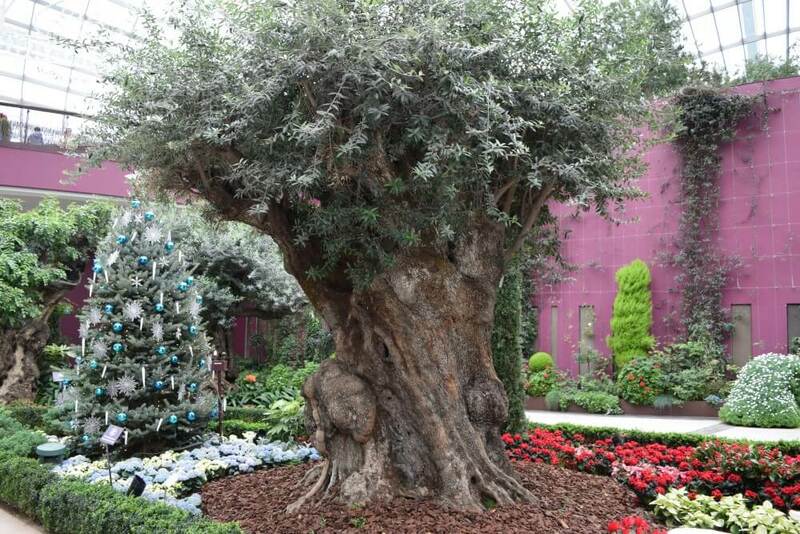 Have you ever been to the Dubai Miracle Garden? It’s pretty spectacular too! Wow! Such a nice place to visit! I would love to take a walk there 🙂 Incredible scenery. This looks such a beautiful place to visit. How much are the charges for entry? Are there places nearby to eat?? 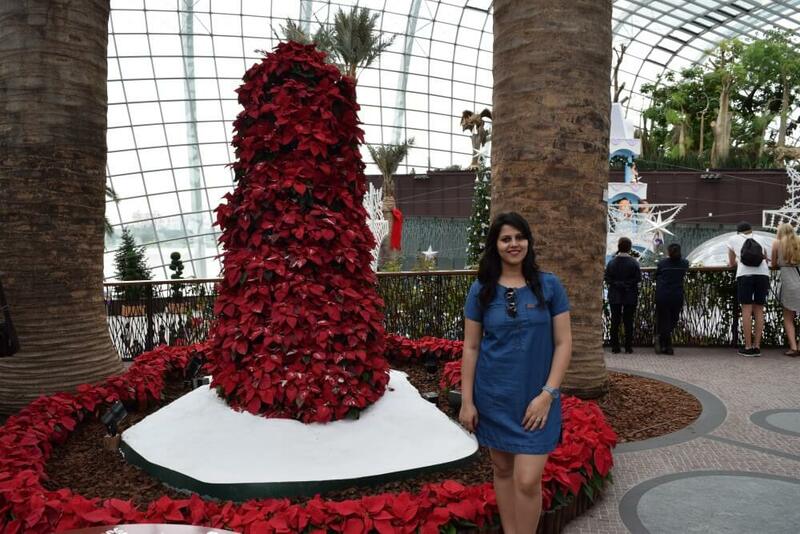 Gardens by the bay has to be the most incredible garden I’ve ever seen. 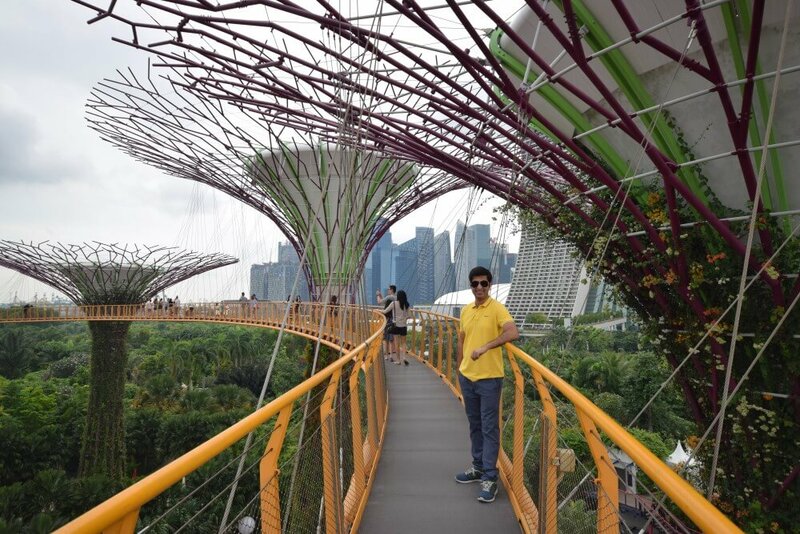 I can see why it is one of the most popular destinations in Singapore. I had never heard of it before but it makes me want to check out Singapore even more. It’s crazy to me that a garden is open until two in the morning! But I guess with so much to do, it’s good that it is. Your photos are absoloutely gorgeous, so bright and colorful! 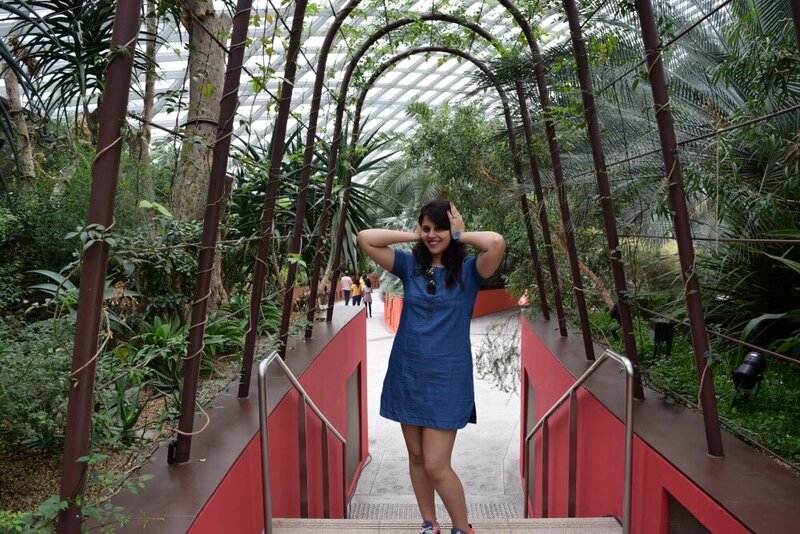 I have never taken a virtual tour through the interiors of Garden by the Bay. It’s so beautiful. I am not going to miss it when I make a trip to Singapore. You say it opens from 5.00 am till 2.00 am , do you mean 5.00pm till 2.00 am? Wow, I’ve seen lots of photos of this attraction on various Instagram accounts, but I didn’t realize how big it is or that it has so many different sections to it. 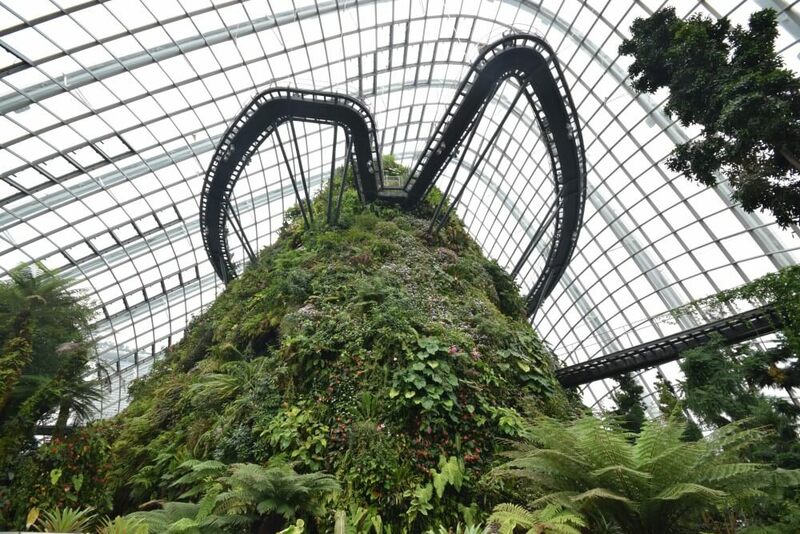 My favorite is the Cloud Forest Garden. It looks like the Montaña Mágica Lodge in Chile! 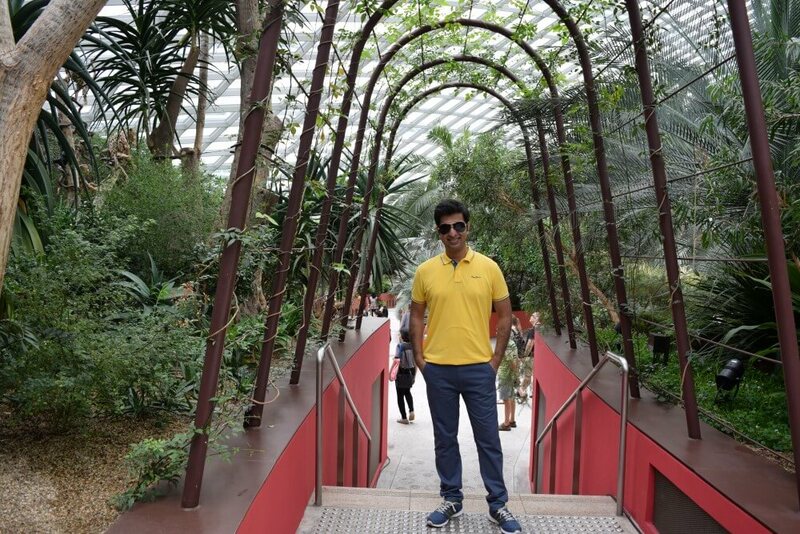 I really like a great walk in a garden and Gardens by the bay looks unbelievable, epic scenery and stunning views. Singapore really do things well. Great post even better pictures. I have never seen anything like this before. The structures really looks interesting. Was it possible to go up the pillars?